Log management tools are transforming the way organizations deal with performance and security of their information infrastructure. You can up your log management game with these log management tools, especially targeted for the unique requirements of small businesses. Before we begin, please note that tools listed below are in no particular order of the first one being better than the rest. Motadata is the unified analytics platform that authorizes operation teams and empowers them by collecting, analyzing as well as correlating metric, network flow along with managing log data events on a single dashboard. It provides log management tools for everything you require to make your IT infrastructure more efficient. Usually IT teams make use of multiple systems to monitor the required hybrid infrastructure, which results into information silos. Motadata is proficient in processing and analyzing any metric, network flow or log data with a single platform. Monitor metrics from Server, Network, and Apps. Have analysis of required traffic behavior through Network Flow data. Get extracted and store up all types of log data in hybrid infrastructure. Motadata is also available on a 30-day free trial, so you can evaluate it without paying any charges. EventTracker is a full-fledged suite of all that you need in your IT log management software. This tool also delivers advanced threat protection and cyber security for your organization. They claim to be an all-in-one tool for keeping you on the pulse of every system, application, server and more in your IT infrastructure. This comprehensive security platform offers log management features such as audit trails, compliance reporting, network logs, as well as event logs. It provides visibility and insights into every aspect of your IT environment. Particularly for a small business considering log management solution, EventTracker is a good option as they also provide fast and friendly support. Logmatic.io claims to be the next-gen, all-in-one tool for event management and information security. It facilitates as a single hub for funneling down all the logs, metrics, and machine events. The hassle-free installation makes it easy to get started with Logmatic.io. This a big plus for small businesses that have limited resources for IT administration. Moreover, before you make an investment in this tool, it is possible to try out the free trial of Logmatic.io. This software comes built-in with a wide range of functionalities such as capturing log events of network activities, data visualization, compliance reporting, remediation, and much more. This issue tracking solution offers a cutting-edge benefit of sending out alerts to the concerned people in your organization. As a result, your team can take required actions immediately. Using VictorOps allows you to take remedial actions right from your mobile device. The ease of use that this solution provides can be a much relief for small businesses. You can try the free version, and see whether VictorOps fulfills your specific requirements. Extensive support is one more added advantages of this solution. Support is provided via training documentation, webinars, and online. Moreover, in-person support is also available. This will save you much time when you want to tackle with urgent issues. You May Also Like This - How has Technology Made Moving to a New House Abroad Easier? Cryptolog facilitates global log collection for companies of all sizes. It allows for monitoring your entire IT environment by keeping a record of what is happening across your organization. There by supporting broader business objectives. The data generated and stored by log management tool is your untapped resource for effectively troubleshooting issues. This software goes beyond capturing log data. It also categorizes the log data in a more usable form. As a result, when your company is confronted with an issue, you can run through the logs more efficiently to spot the problem. 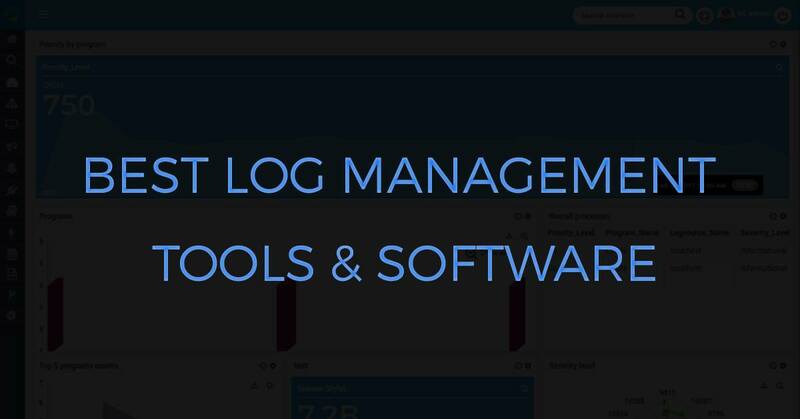 This log management tool is equipped with several features that will provide value for your money. Moreover, comprehensive training and round-the-clock support from the team of Cryptolog can resolve issues quickly so that you have everything working back again. Now that you are spoilt with choices from several effective log management tools, it is recommended that you evaluate each of them. Carefully consider these tools against the requirements that are specific to your IT infrastructure. While a tool seems simple to use, it might have a number of limitations, which eventually does not serve the very purpose of having a log management tool for your business. One solution might not have all that you would want in your log management tool. In such a situation, it is important that you prioritize your requirements and see which tool covers most of the priority needs. After all, the log management software you choose will be a deciding factor in enabling your organization uninterrupted uptime and strong security from cyber threats, so that everyone can work productively.